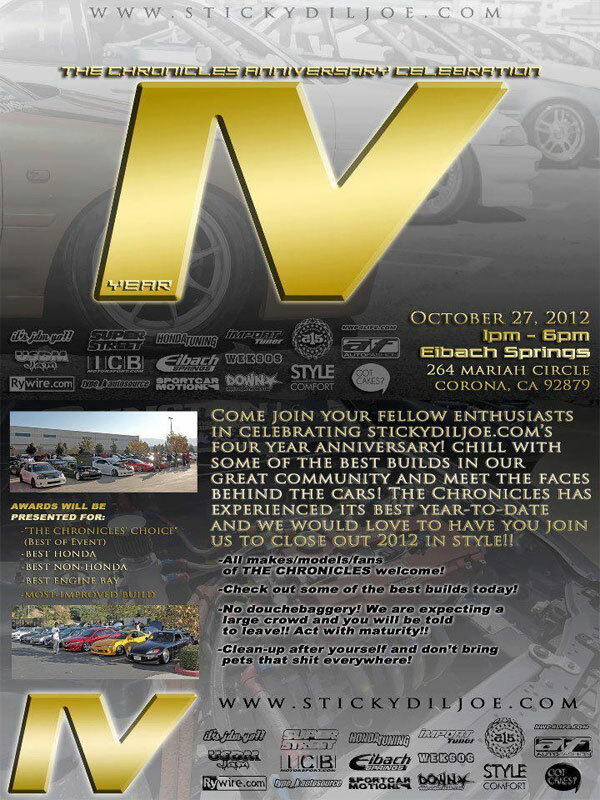 The Cronicles aka Stickydiljoe.com is having thier 4 year anniversary car show at the Eibach Springs Facility in Corona CA on 10/27/2012. There will be many of the community’s best builds in attendance both Honda and non Honda. Visitors as far away as Japan will be in attendance including KC Trading and for he first time Barramundi design wheels.